They’ve flowered their socks off for you this summer so to keep the displays coming year on year, now is a good time to step in and split up your bearded irises. Don’t feel obliged to complete this task annually – every three or four years is fine – but do so to maintain plant vigour and flowering ability, and complete it before the end of September. These varieties of iris (often sold as selections of Iris germanica) are so-called because of their fluffy, hair-like filaments on the lower petals. They form a fleshy rhizome which need to be partly exposed to the sun in order to ripen and bloom well. 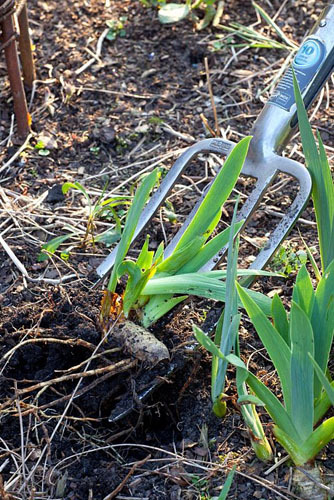 Trim over your iris clumps to remove old flower spikes and faded brown foliage, then reduce the height of the remaining leaves to 15cm above soil level. Now you have a clear view of the rhizomes, step in with a spade or fork and lift up any congested clumps. The objective is to discard the older parts and keep the younger, more productive sections. 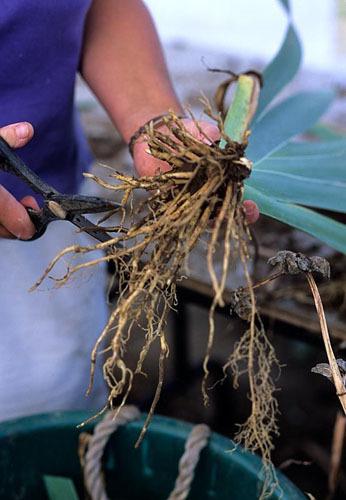 Throw away any sections of rhizome that are small, weak or withered, and retain those that have a strong cluster of leaves and thick, plump stems. Trim any over-long roots. 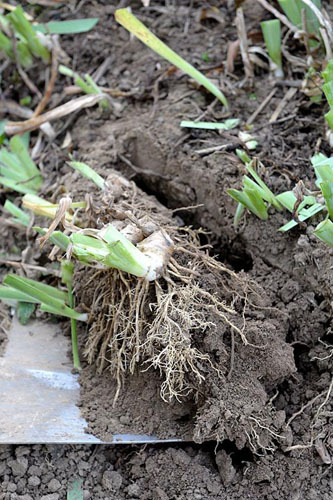 Replant the young rhizomes at their original depth. 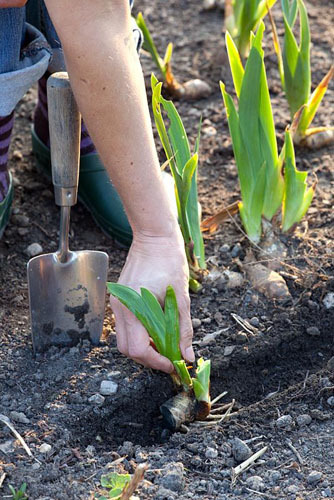 Don’t bury them too deeply in the soil – you want to anchor the section in place with the roots, but have the upper half of the rhizome exposed to the sunlight. Water in well. This entry was posted in Expert advice, Practical gardening on September 28, 2015 by gapadmin. 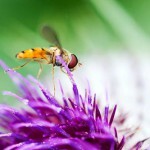 To the untrained eye it’s tempting to think that anything that creeps, crawls or buzzes around your garden is just a nuisance, but look again. 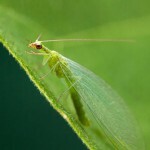 Those in the know are aware that there are numerous tiny creatures that earn their keep in the great outdoors, either by predating horticultural baddies such as greenfly or caterpillars, or by pollinating our fruit and vegetables. 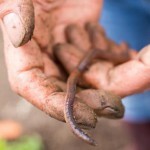 We all know that bees are busy pollinating our food crops, but let us introduce you to some more of these diminutive yet valuable garden additions. Everyone (hopefully!) 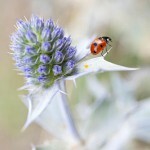 knows that ladybirds are useful allies on the plot. 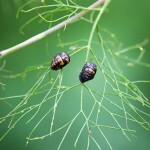 Both the adult beetles, plus their black and orange larvae have a healthy appetite for aphids. 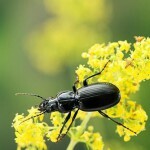 In the height of summer you can expect to see vulnerable plants housing a healthy population of these beetles. Also keep an eye out for the larvae of lacewings and hoverflies. Neither are particularly conspicuous or attractive (they look a bit like legless green maggots) but both claim aphids as their favourite food. Growing daisy-like flowers will attract adult hoverflies, and providing shelter in the form of insect hotels will lure in lacewings. 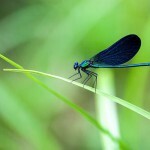 Install a garden pond and within a few days it will be teaming with life, specifically damsel – and dragonflies. 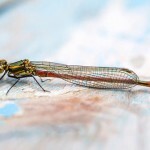 While these two insects may look incredibly graceful, they hide a robust appetite for midges, mosquitoes, butterflies and moths. Cabbage white caterpillars be warned! And being an untidy gardener can have its benefits. Leaf litter is a preferred habitat of ground beetles. Their varied diet of flies, weevils, caterpillars, aphids, slugs and snails means that we have the perfect excuse to throw away our garden rake. This entry was posted in Expert advice on September 24, 2015 by gapadmin. 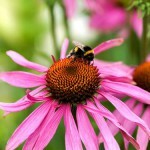 There are plenty of annuals, biennials and perennials that provide late summer colour. Sedums, rudbeckias, dahlias, tithonia, ricinus, cannas, crocosmias and asters are just a few of our favourites. So, rather than position them hither and thither around the garden for a dribble of this and a splash of that, why not mass them into one spectacular last-minute show? 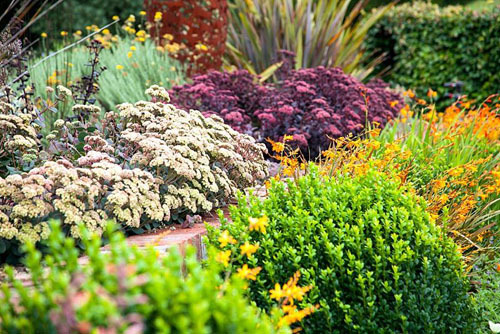 Designing a late summer border means you can guarantee a crescendo of colours before frosts put paid to vivid tones. Who can resist a ‘hot’ border of golden rudbeckias, orange heleniums and scarlet dahlias? Throw in some deep purple amaranthus, a backdrop of paddle-like canna, musa or ensete leaves and a pollarded paulownia for good measure and your tropical-like collection of lush, sumptuous foliage and sizzling blooms is complete. Add a few accent plants, like hot pink cleomes, cactus dahlias, dioramas and cosmos and you’ve got clashing Christopher Lloyd-style colours to be proud of. Of course, if you don’t have the luxury of space to create a devoted border, there are a few tricks we have up our sleeves. Early summer perennials like aquilegias and Oriental poppies can, once faded, be cut back to ground level. Sink pots of late season plants into their place and you’ll extend your season without harming the plants beneath. Maximum interest for just a little effort. This entry was posted in Expert advice, Planting combinations, Style notebook on September 21, 2015 by gapadmin.